Lucky Dog Stamper: Happy Spring! 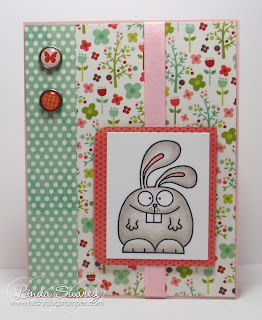 Today's card uses a very cute, goofy-looking bunny stamp from Paper Smooches. I thought he was perfect for some spring-like paper and Sketch #3 from Retro Sketches this week. So fun to color! 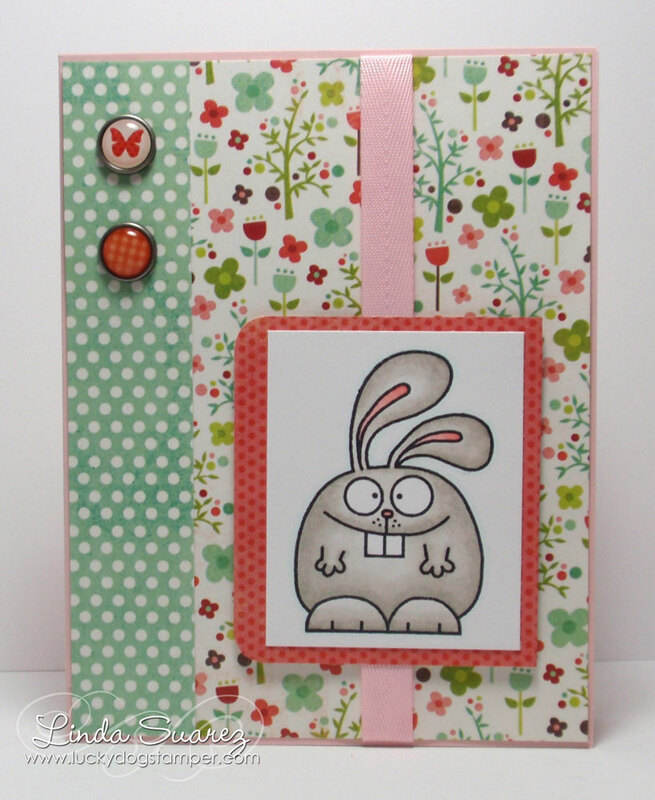 Now I want to stamp and color all the other cute critters in the Paper Smooches stamp sets! Thanks so much for playing along with us this week at RetroSketches! Oh my goodness, he is SO stinking CUTE! What an adorable card Linda! The patterned papers look great! So glad you played along with us in this week's Retrosketches! That bunny is hilarious! Awesome card! Linda, I love your happy fun card! Great choice of papers and image! Thank you so much for playing with us at RetroSketches this week! This is so cute Linda, love the DPs and the fun brads!! Linda the bunny is great! He just makes me smile! Lovely card!